Keeping with the overbuilt theme (something CRKT explicitly acknowledges in its product description), the XOC uses the new locking mechanism from Ikoma called the Deadbolt. So far the Deadbolt lock has only been seen in the Seismic. It’s been well received as a strong lock with a pretty simple design and easy one-handed use. The XOC looks to be taking advantage of the strength of the lock. It comes in at an overall weight of 11 ounces. The only thing that’s more than the weight is the price at $750 MSRP. That’s a lot of money for a lot of knife. There are currently only 200 being made, so the exclusivity and premium materials contribute to the high price. It looks like these are being sent out to prominent members of the knife community, which means we’ll also get impressions from Nick Shabazz and Tony Sculimbrene of Everyday Commentary soon. This isn’t the first time CRKT has explored higher-end and higher-priced knives. In 2014, CRKT offered the unique Buy Tighe from Brian Tighe as a 20th anniversary limited edition model with slightly higher-end materials like 154CM steel and the Klecker Lock. Only 500 were made and it sold for $750. That same year, CRKT made another high-end folder based on a custom in the Hi Jinx. The Ken Onion design featured a 3.32-inch blade with Sleipner steel and titanium handles. The knife was made in Italy by LionSteel. Only 525 pieces were made. 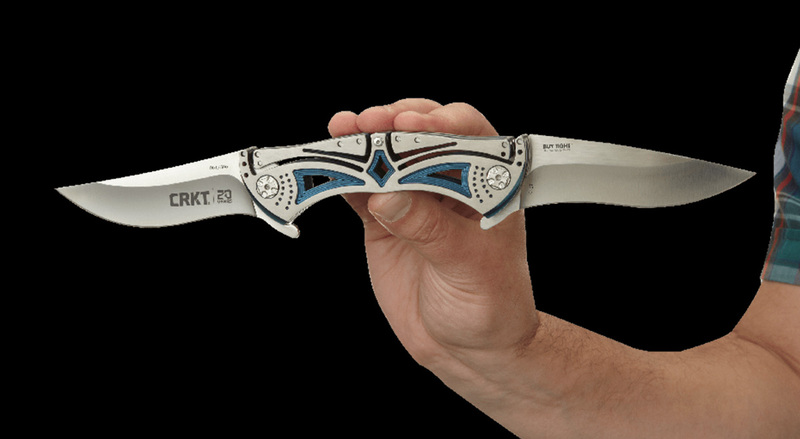 At the moment, CRKT also has a limited edition knife called the Motley available through Blue Ridge Knives Distribution. This is another Ken Onion design with Sleipner steel. There is also the CRKT.com exclusive Crossbones with M390 steel limited to 500 pieces. 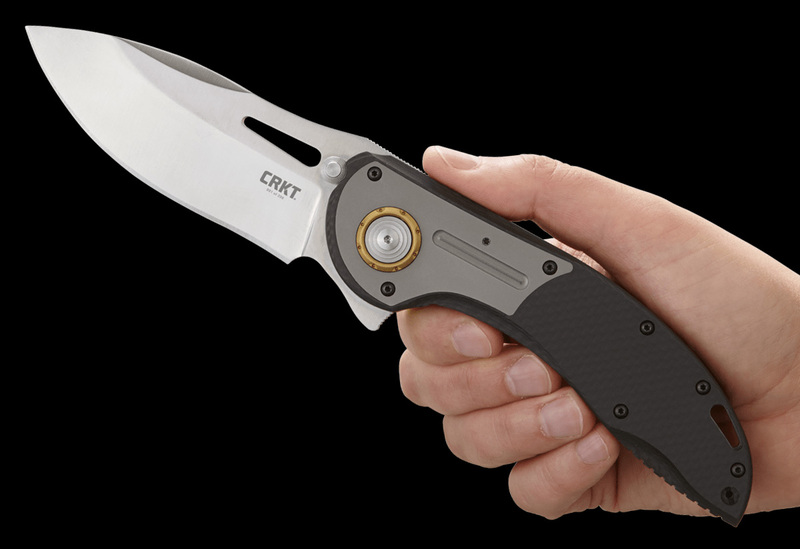 The most expensive standard knife from CRKT aside from the M16 automatic is the Eros, which has an MSRP of $225 and uses Auto 440 steel. With the release of limited edition models and variations using slightly better materials, it looks like CRKT is finally listening to more diehard knife enthusiasts. I’m just wondering why this has the same steel that Victorinox and Cold steel use, but I guess the size, the new lock, and the limited numbers built are why the $750 price. Since it’s not the steel. Victorinox absolutely does not use XHP CTS (though Cold Steel used to before having to move to S35VN in its higher end models). Still, you can find CTS XHP knives from Spyderco for under $90. That’s a rediculous price tag for this knife from this company. I have a lot of knives from this Compnay and was interested till I saw the price tag. Come on CRKT make more and lower that price down to 3 bills you will sell more. Plus you won’t loose your base.